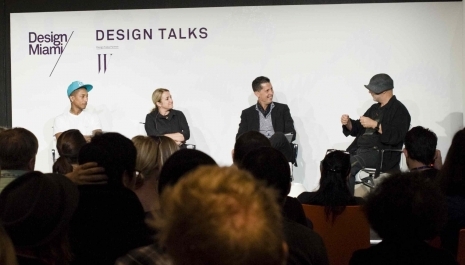 The Design Miami/ Basel 2011 Design Talks program explores varied approaches to creating design. These lively exchanges with architects, artists, designers and patrons provide insight into the process of conceiving a design object or environment. Over the course of three days, these conversations delver deeper into the minds of the individuals driving the creation of progressive collectible design, questioning modes of inspiration, the demands of function and the freedom of expression. Each Design Miami/ Basel Design Talk is free and open to the public.